This year, Fujitsu World Tour 2018, which stopped in Brussels on June 7, highlighted the “Co-Creation for Success“. 6 start-ups from the Hive Brussels network presented their innovations to more than 300 of Fujitsu’s most important customers and partners. As part of the “Labs Battle”, each start-up had 5 minutes to convince the public and the jury of the potential of their innovation. The laureate was n-Auth specialized on security of sensitive data. 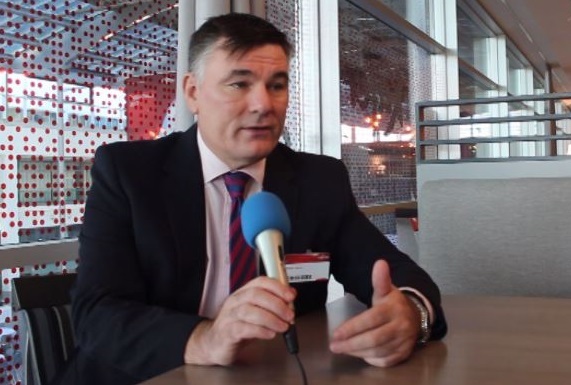 We interviewed Mr. Yves de Beauregard, Managing Director Fujitsu Benelux who explained: “Today, digital co-creation is moving to a new phase, from concept to the creation of new opportunities. Our unique capabilities in advanced technologies, such as artificial intelligence (AI) and the Internet of Things, combined with know-how, achieve this goal, delivering true innovation and business value. What are the other applications of AI? The second topic is Cyber security. With the Blockchain centre recently inaugurated in Brussels which development you can see? Why do you think is an asset choose Brussels for the Blockchain centre? How do you collaborate with Japan? How was important for you to collaborate for 0 Plastic Rivers initiative?